The CRUZEIRO AUTO BRIGHT WAX is a product with acrylic finish and with shine, which keeps the brightness and decreases the waste of the floor. It is a product with high resistance to the washings, which is recommend for pouros floors like granite, granite, marble, marble, concrete, paviflex, slate, among others. It does not slip and does not darken the floor with the passage of time. In the begining remove all the solids by sweeping and with a spatula attached debris such as chewing gum and stickers. After that, remove the old treatment and the old Wax with the SUPER REMOVER CRUZEIRO. Wash the floor with a neutral detergent and dry it well. Then, if you want a treatment on the wet floor. Then remove the old treatment with the old wax with the SUPER CRUISE REMOVER. Wash the floor with mild detergent and dry thoroughly. Then, if you want a treatment on the floor, on the dry floor, spread the CRUISE SEALING BASE according to the instructions on the label of this product. 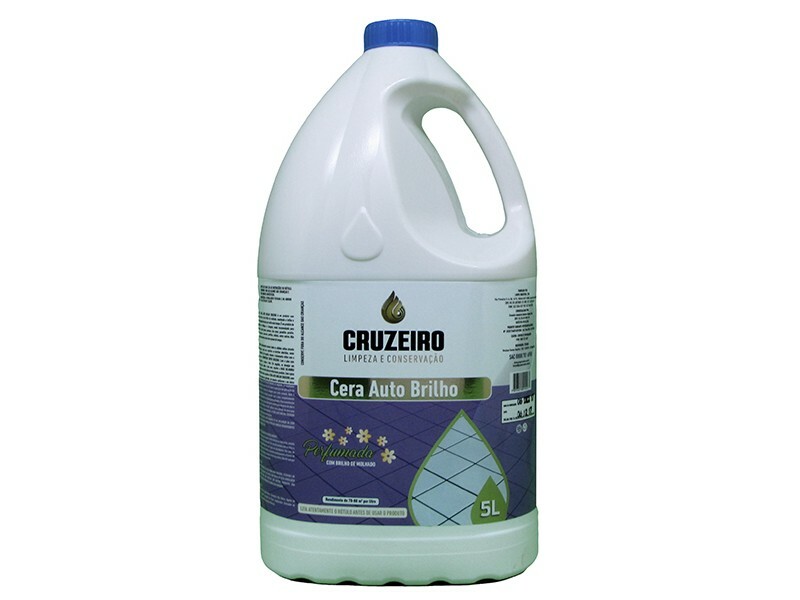 With the floor completely clean and dry, spread the CRUZEIRO AUTO BRIGHT WAX with the aid of a cloth or applicator, evenly and in one direction. Let it dry fpr 30 to 40 minutes or according with the local condition of the ambient. Repeat the wax application operation 2 to 3 times, respecting the drying time for each layer. After 3 hours of applying the last layer, with the floor completely dry, use Low Speed ​​polish for polishing. To maintain the treatment, use only neutral detergent to clean the floor and according to the traffic in place, apply a new layer of wax once a week or fortnightly. CRUZEIRO AUTO BRIGHT WAX can be applied directly to the floor.